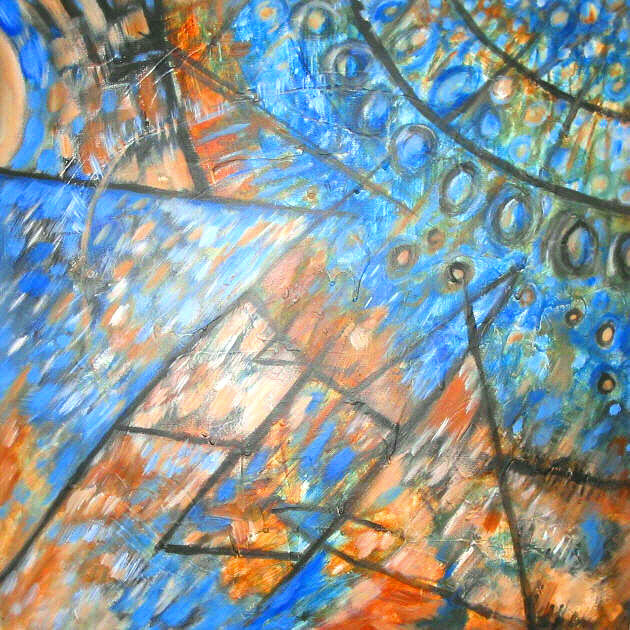 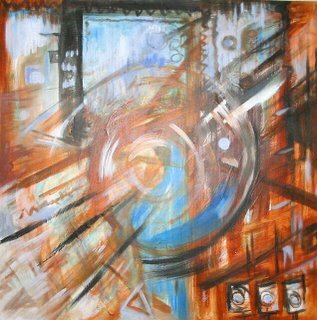 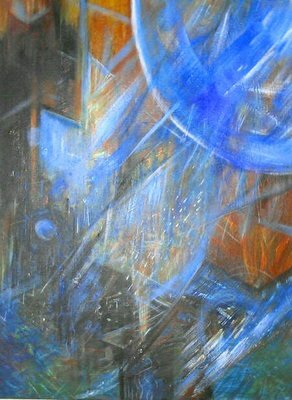 Original Modern Abstract Painting 18" x 24" x 3/4"
"Dedicated to the memory of my dear brother Grant"
Lorraine G Huber is an established contemporary Scottish Artist specialising in abstract and semi abstract paintings. She works in acrylics and incorporates mixed media materials in her striking enigmatic, original works. 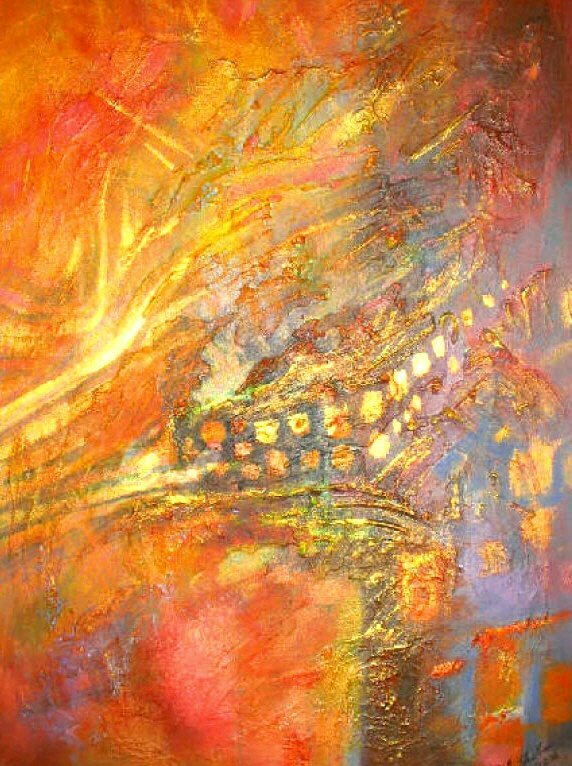 Lorraine has enjoyed numerous successful solo and joint exhibitions over 20 years and her original paintings can be found in collections worldwide. 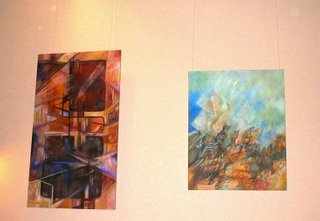 She is very happy to have been invited to exhibit her current work in the Gallery’s 1st solo exhibition and hopes that you will enjoy her work and become regular customers of the Gallery. She currently lives and works as an Artist in Livingston, but has moved around many times in her life. 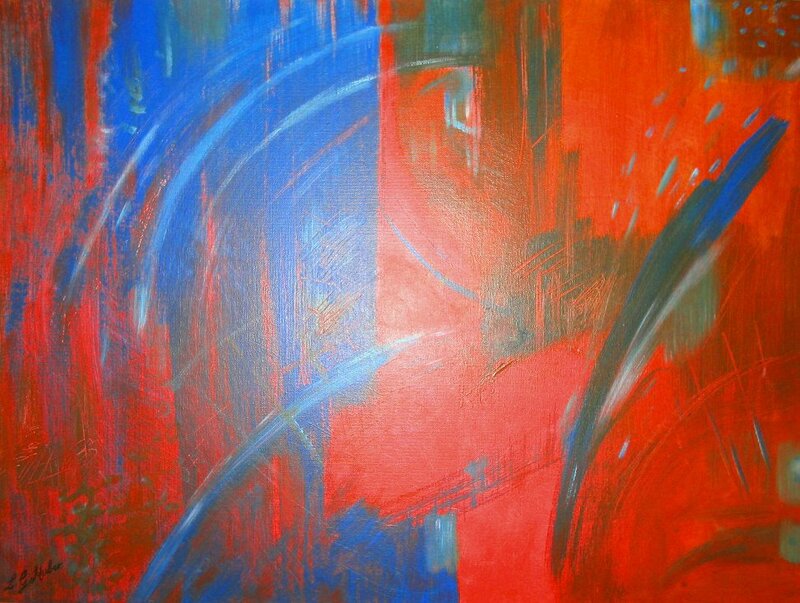 Lorraine was born in Aberdeen and her most recent exhibition was in Robert Gordon’s University in 2005. 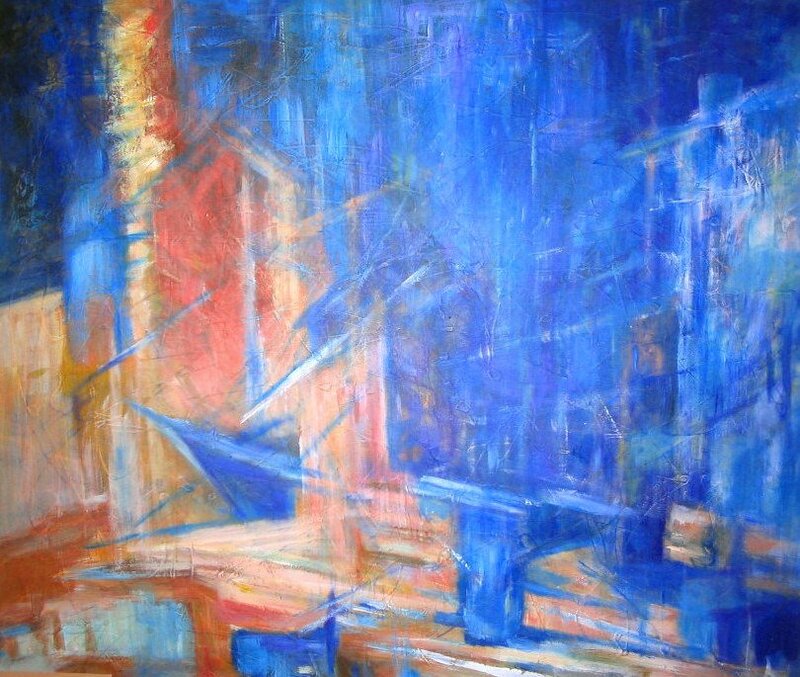 Trained in fine arts (painting, sculpture & ceramics) at Eastbourne College, she later went on to establish The Loft Pottery & Gallery. She formerly divided her time between ceramics and painting but now concentrates her energies exclusively to her painting, which she is passionate about, it is a real driving force in her life. 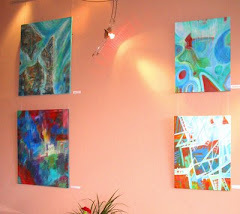 You can read more about her inspirations in her Artist Statement on the next page. From a very early age painting and drawing were a driving force in me, not that anyone else in my family was artistic, but my family, particularly my mum encouraged me to develop my gifts. 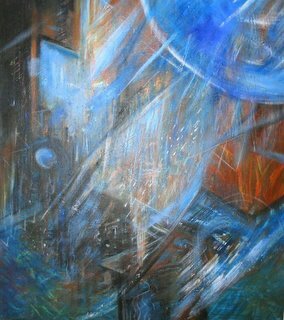 I am very glad that she did, as it gives me great joy to be able to paint, professionally. Sometimes it can be a struggle too when things aren’t working as planned and a painting needs to be restarted or put to the side. 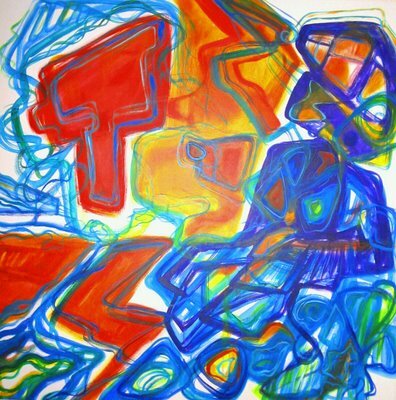 Each day as an artist presents new challenges. 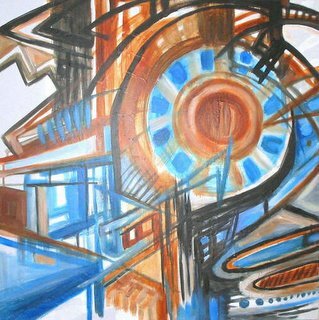 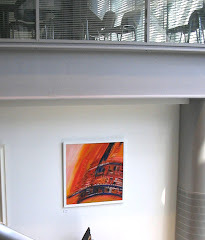 Although I started my life as an artist many years ago, painting in a very realistic, representational way, usually landscapes and figures; I have found that over the last 15 years I have learned to look at the world and my urban landscape, in an increasingly abstract way. I find that what gives me the most satisfaction as an artist now, is translating my ideas, and response to what is inside me, emotionally and spiritually, in a purely abstract way. 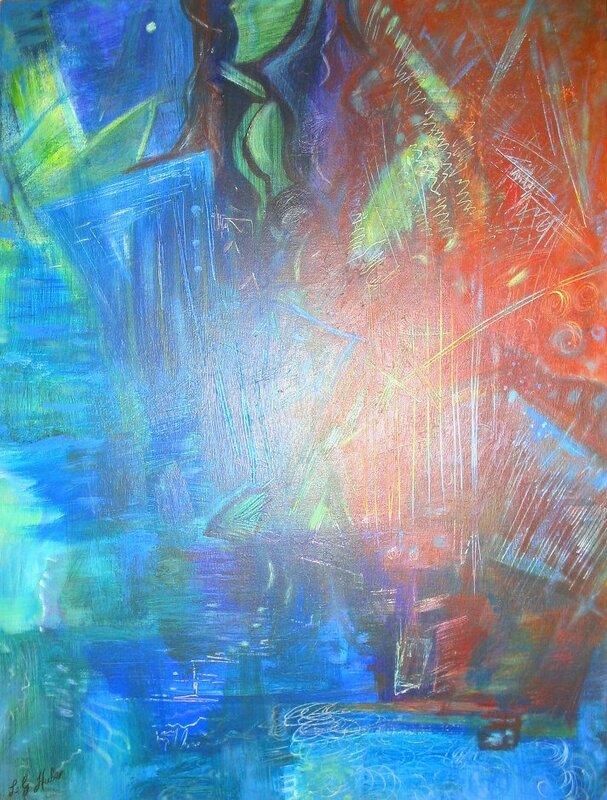 I can start off with an idea or a few sketches and when I paint I get lost (in my own world), using colour and texture and shapes to develop my initial idea. 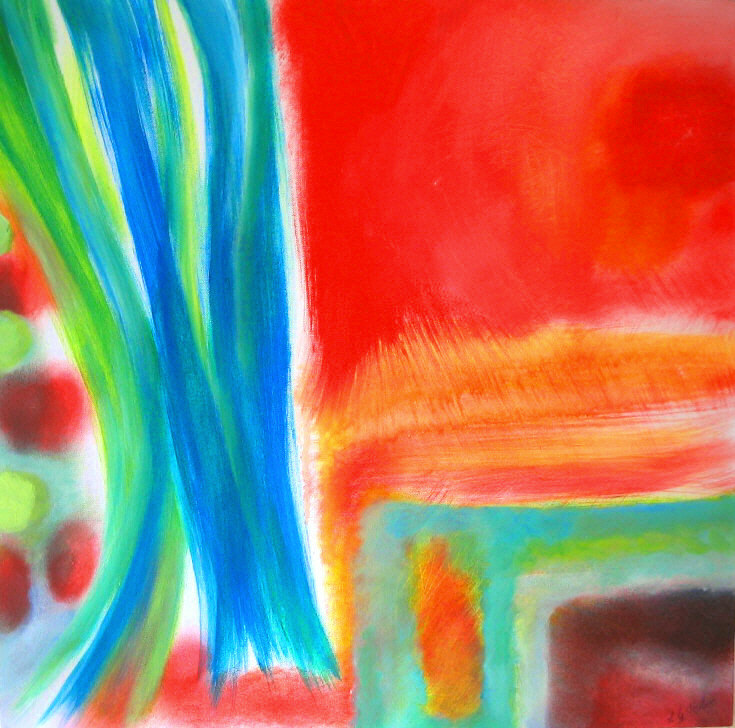 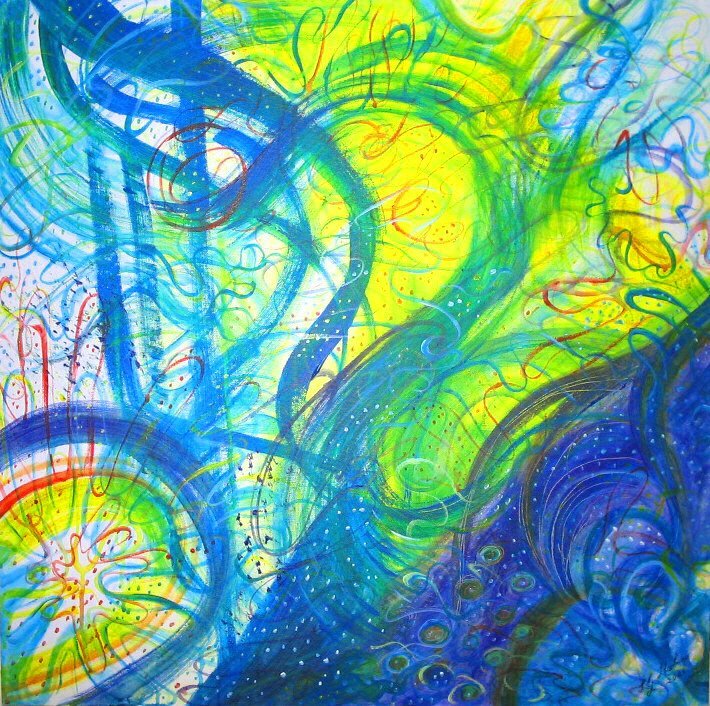 I am, what some people would describe as an intuitive painter or expressionist abstract artist. I like the idea of mystery in my work and although I give my paintings titles, I really like the fact that the viewer puts their own interpretation on the piece; that for me is very exciting. 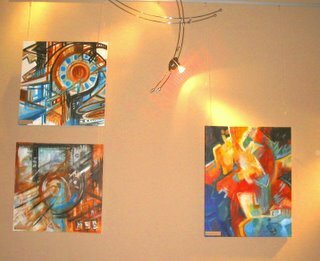 For that reason I don’t like to explain everything away, I believe that we are all individuals and respond to Art in a very personal way. I do hope that you will enjoy the exhibition and am happy to answer any questions about my work. 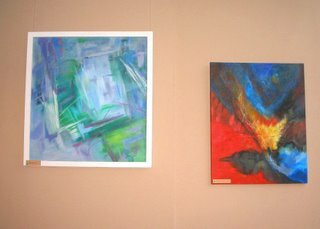 I just want to encourage everyone to help make a success of The Gallery by coming here often and telling others about it. 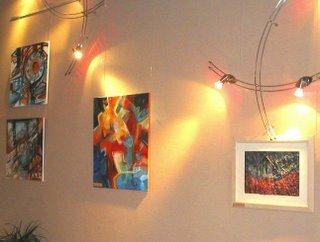 We have so many talented artists in Scotland and now we have a new Arts venue to display their work, thank you to Helena for inviting me to be the 1st solo artist to start this year. 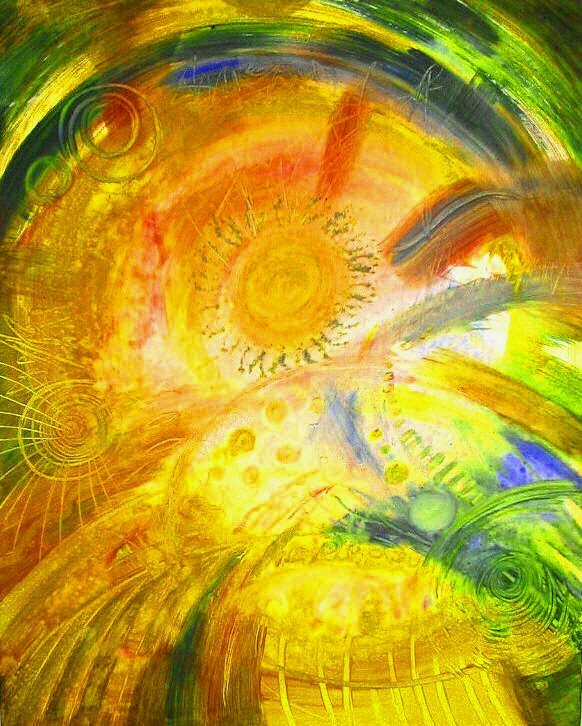 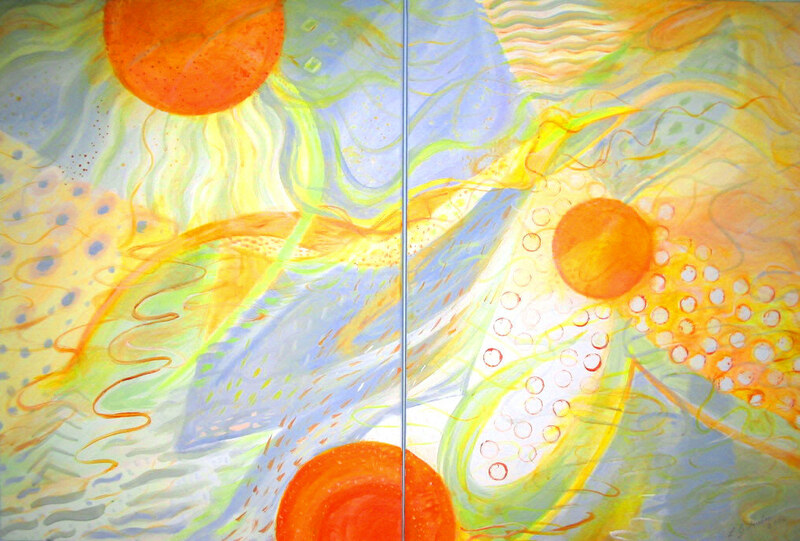 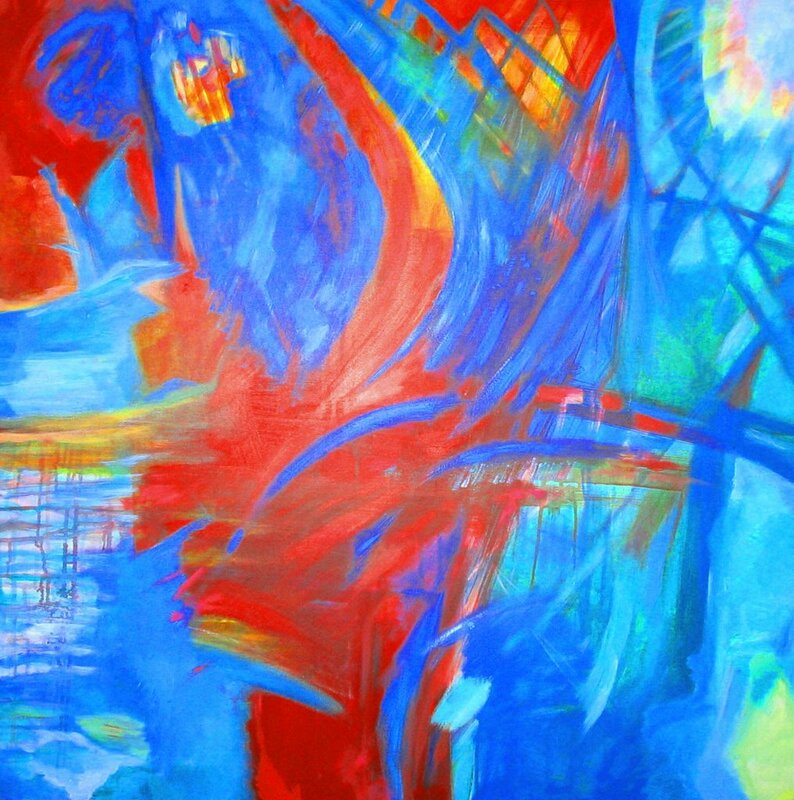 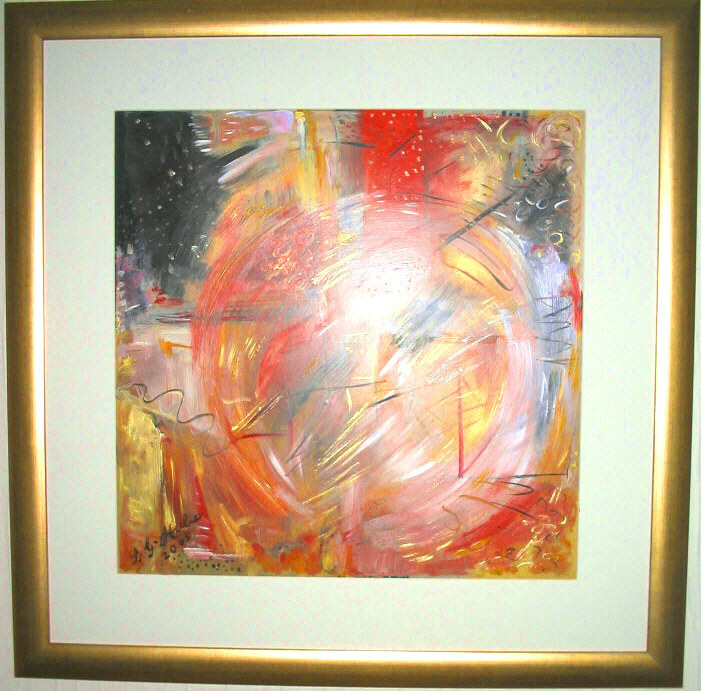 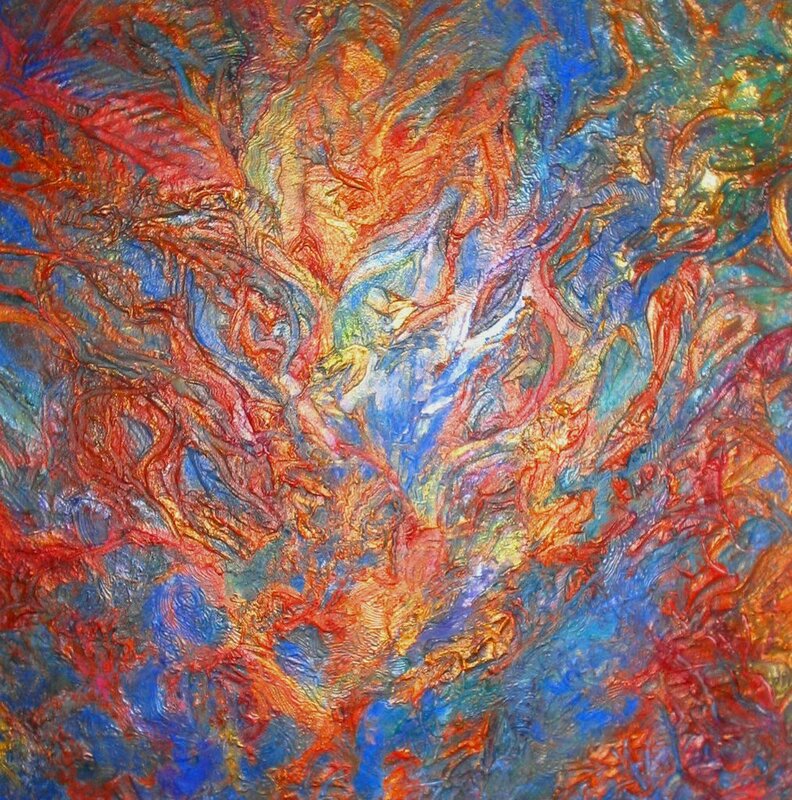 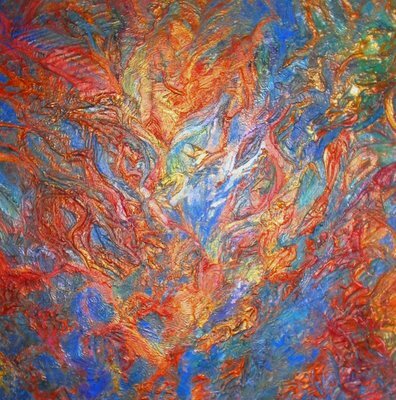 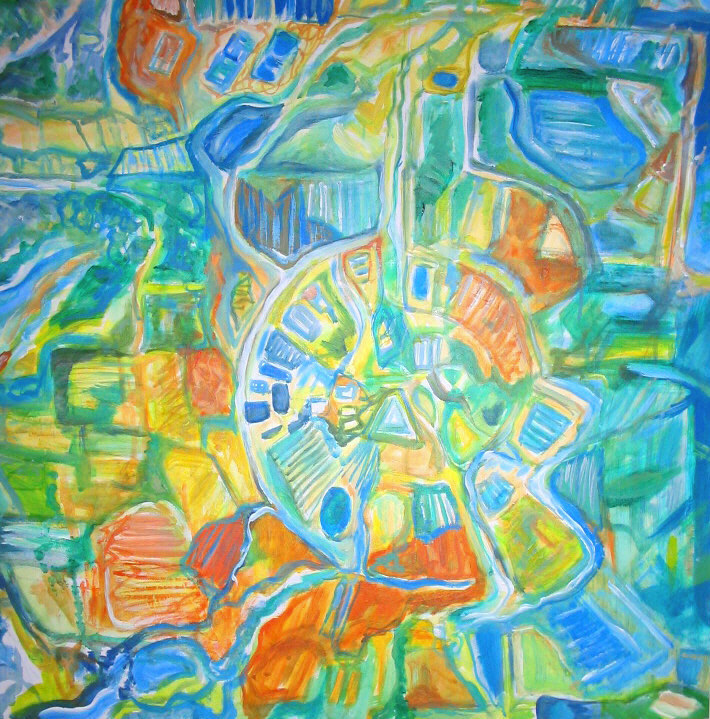 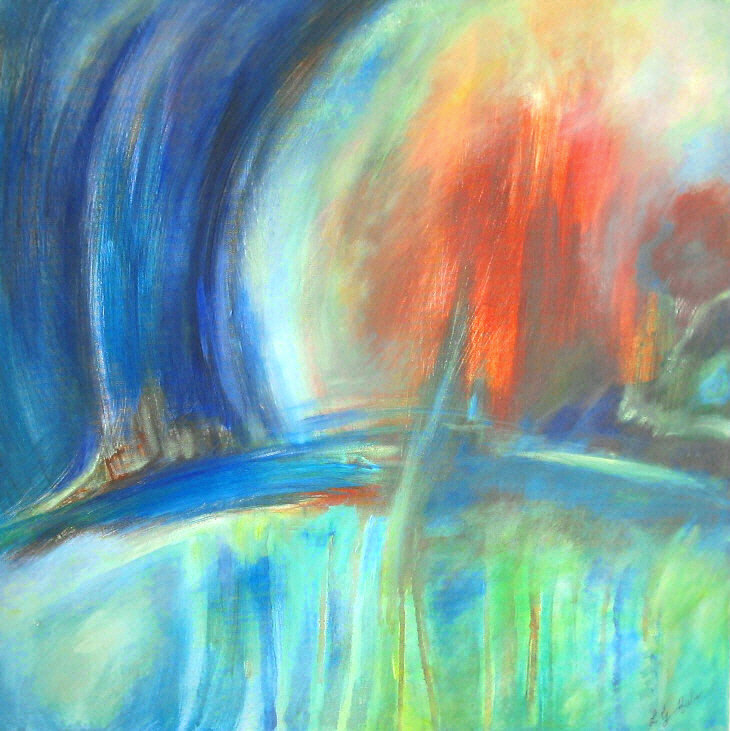 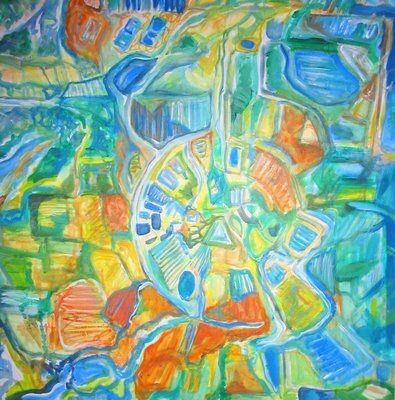 Lorraine G Huber is a widely exhibited Scottish Abstract artist whose original abstract work can be found in both private and corporate collections worldwide. Lorraine will be exhibiting 25 exciting new abstract and semi abstract paintings at the forthcoming exhibition at a new Art venue in Scotland; she is the first solo artist to be invited to exhibit her work and is excited about the prospect. 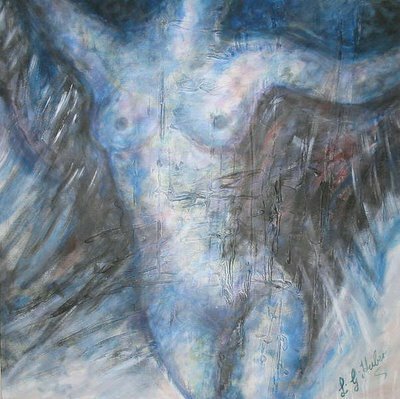 Her works resonate with mysterious intensity and tug at the senses. 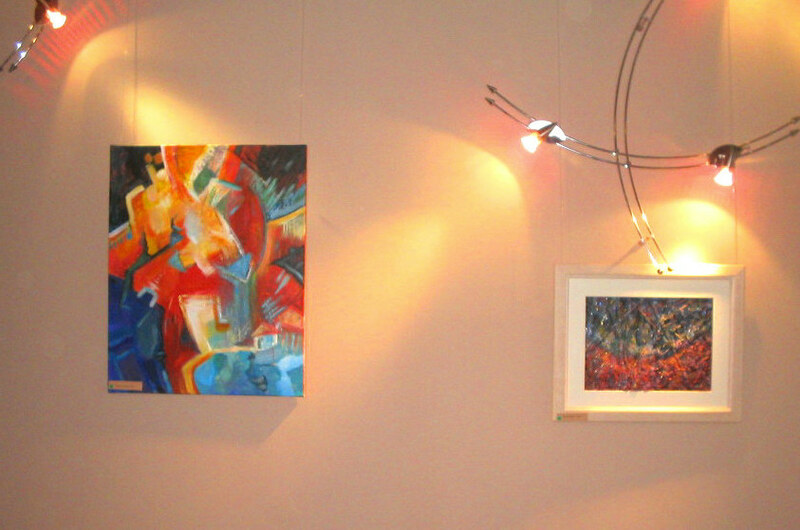 Why not come and view for yourself these enigmatic new works, you will be made most welcome. 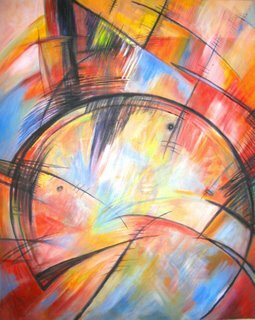 The exhibition will showcase over 20 exciting original new works, some purely abstract and some figurative, semi abstract. 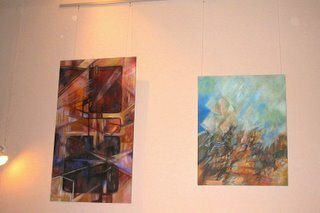 All works are for sale direct from the Gallery. 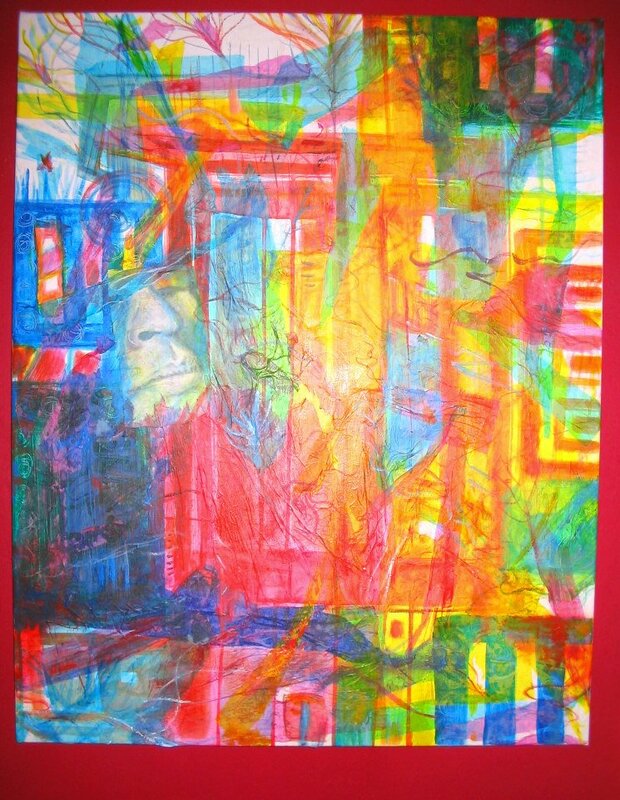 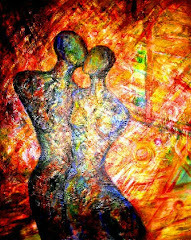 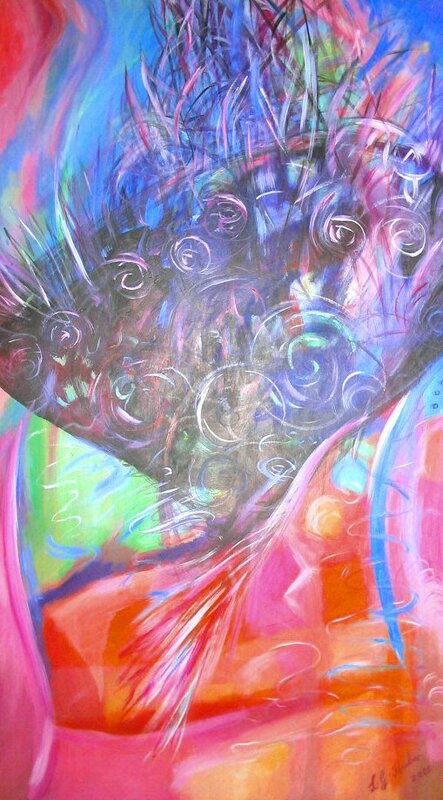 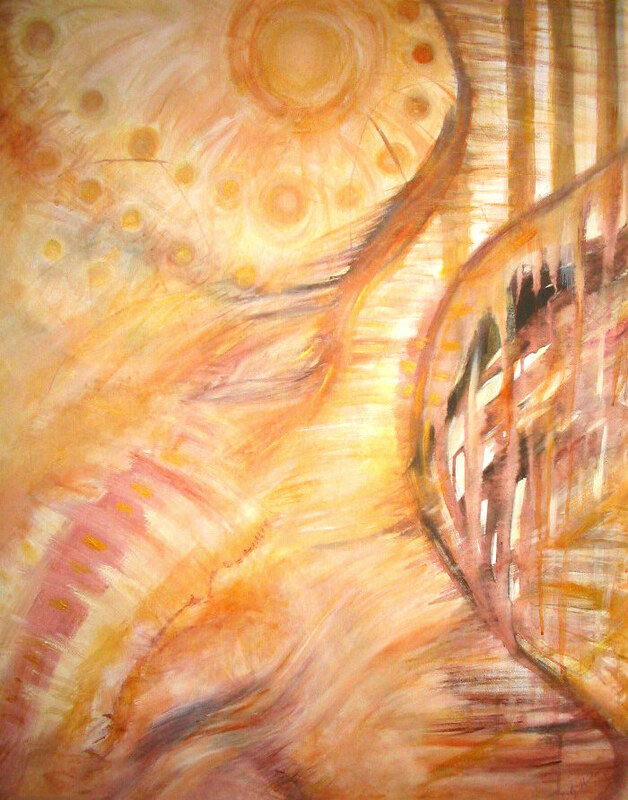 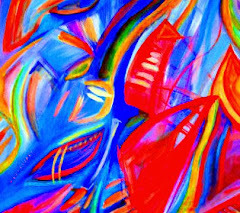 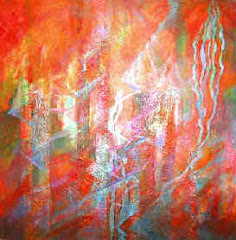 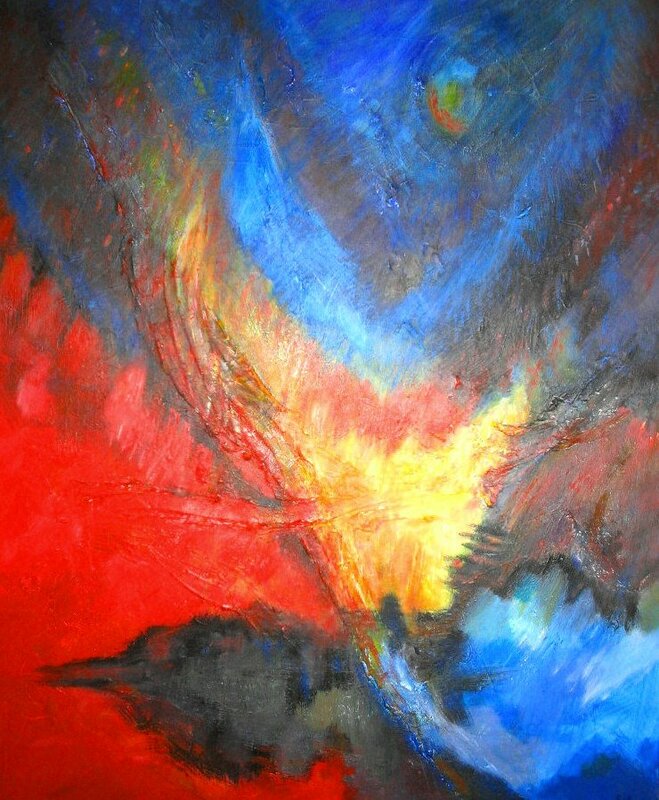 Lorraine G Huber is a widely exhibited Abstract Artist living and working in Livingston, Scotland. Abstractloft is her online Gallery, a showcase for her colourful and enigmatic original modern Abstract paintings and mixed media collages. You can view a wide range of exciting original abstract works & semi abstract figurative artworks for sale direct from the artist. 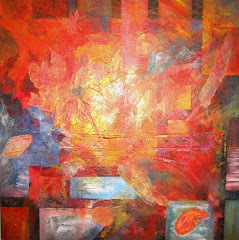 Her works have a distinctive style and encorporate a wide use of mixed media materials, giving a unique depth and texture. Lorraine believes that her Abstract art is a celebration of The Journey Within and her paintings have a spiritual quality to them. 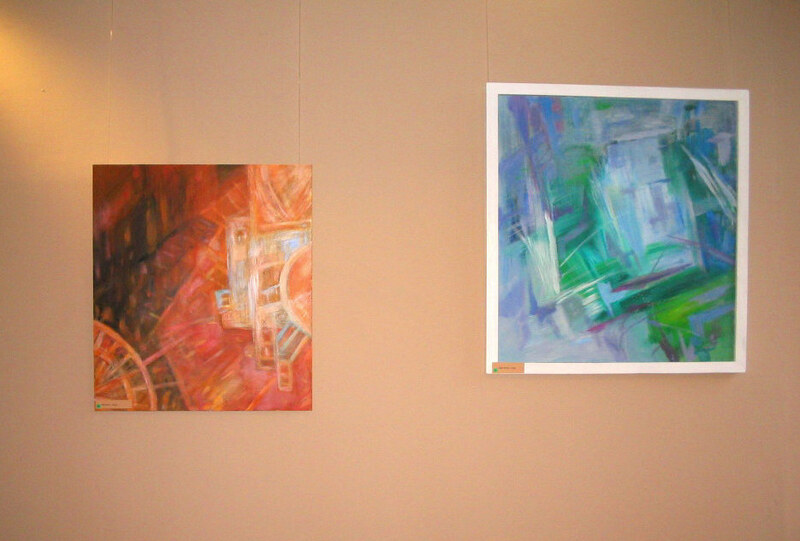 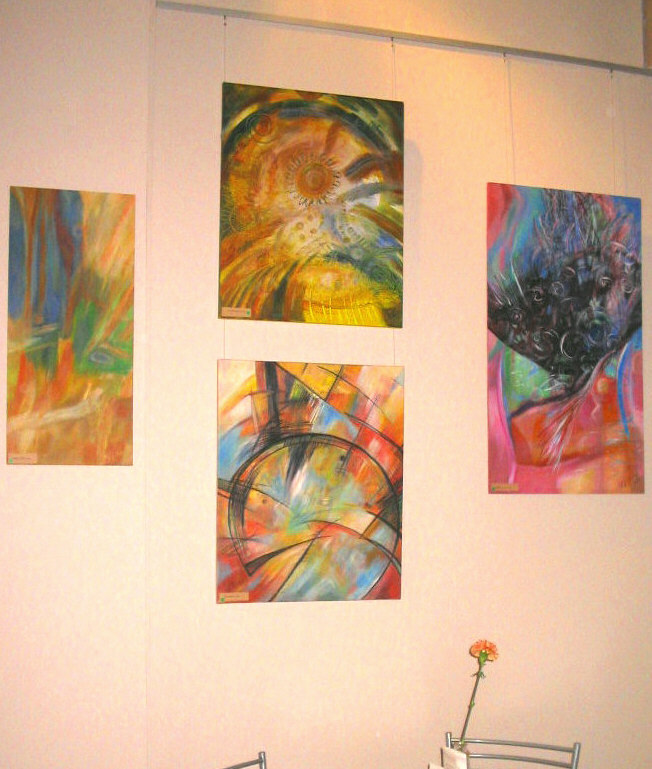 Lorraine has had numerous solo as well as group exhibitions. 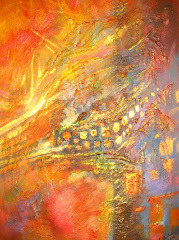 Please view her details of her forthcoming solo exhibitiions in February & October 2006. 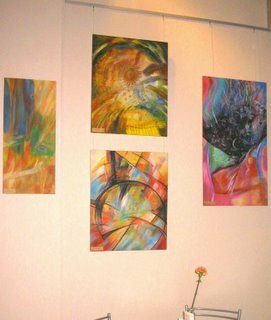 Her original paintings and collages are in collections worldwide. 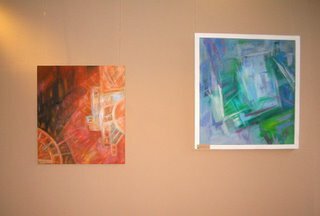 Some of her work has also been used in publications. If you would like to view some of her available current abstract works for sale, please visit her Abstractloft Gallery, click on the link below. 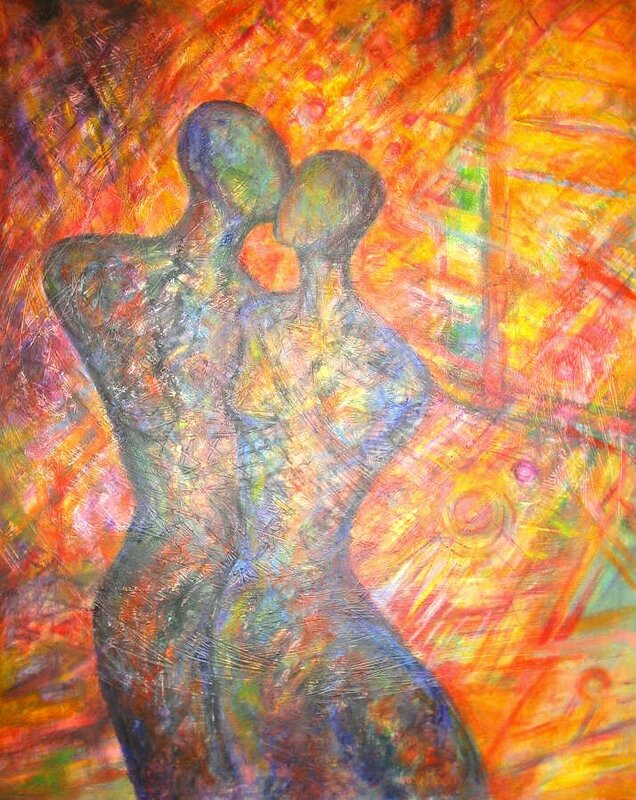 Lorraine would be very happy to receive enquiries & feedback on her work and also welcomes exchanging Artist links with like minded Artists and organisations, please email her if you are interested. 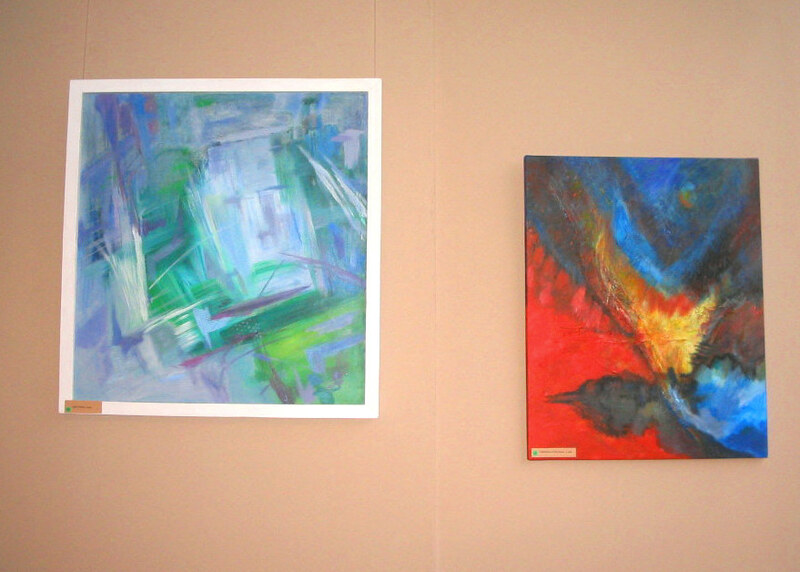 Thank you for your interest, I hope you will enjoy my work.